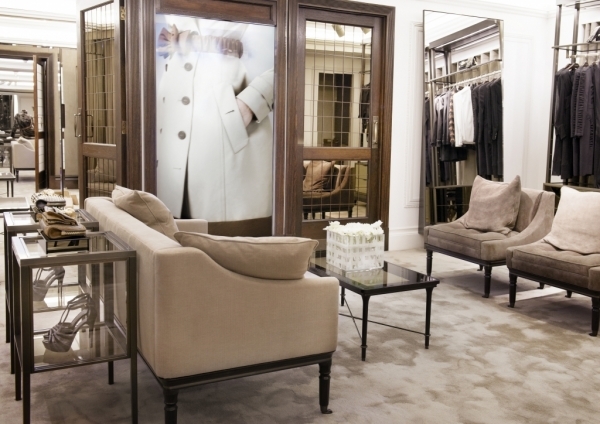 British designer label Burberry has opened its first global flagship on Regent Street in the heart of London. 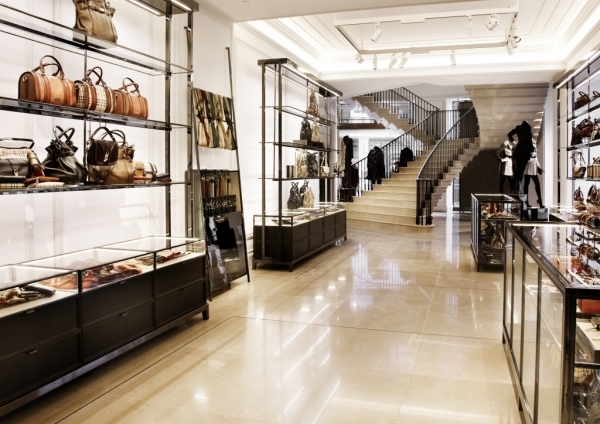 With a selling area of 27,000 square feet spread over four floors, this is huge by the standards of luxury retailing. But there’s more to the store than just being big. 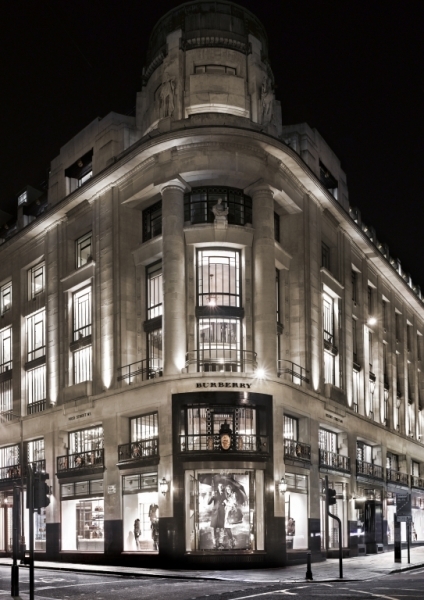 The manner in which Burberry’s digital world has been fused with its bricks-and-mortar environment on a world-famous street is what really sets this one apart. This is the brand’s first digitally integrated store, a fact that’s apparent from the moment shoppers step across the threshold. Passing through massive bronze doors manufactured according to the building’s original drawings from the 1920s, the first thing that can be seen is a very large atrium. In a previous life, the store was a theater. It then became a branch of housewares retailer Habitat, which filled the void where the theater seats had been with a scaffolding-like structure to display its wares. This has been stripped out, and the oversized atrium at the heart of the store now directs a shopper’s gaze toward a vast, high-resolution digital screen at the back of the space. 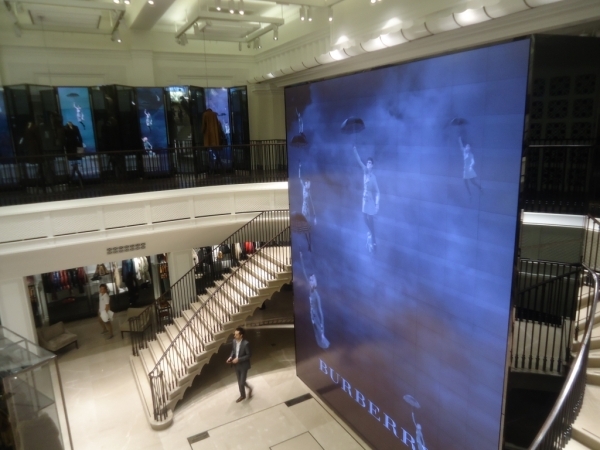 At 22-feet tall, almost as wide and claimed by Burberry to be the world’s largest in-store digital screen, the spectacle is more than a means of showing content about the Burberry brand. 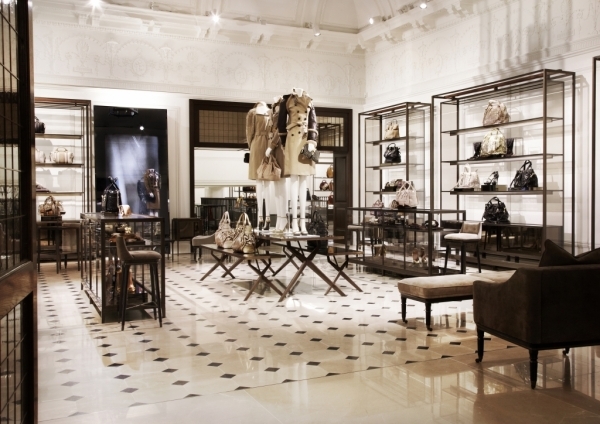 At various points during the day, the display is synchronized with many small screens located throughout the rest of the store to stage what a spokeswoman refers to as a “Burberry event” in which mood creation is to the fore. 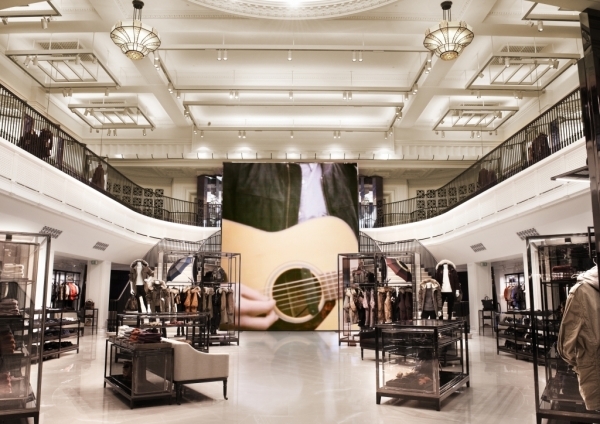 Audiences can also view Burberry catwalk shows streamed live to the store. 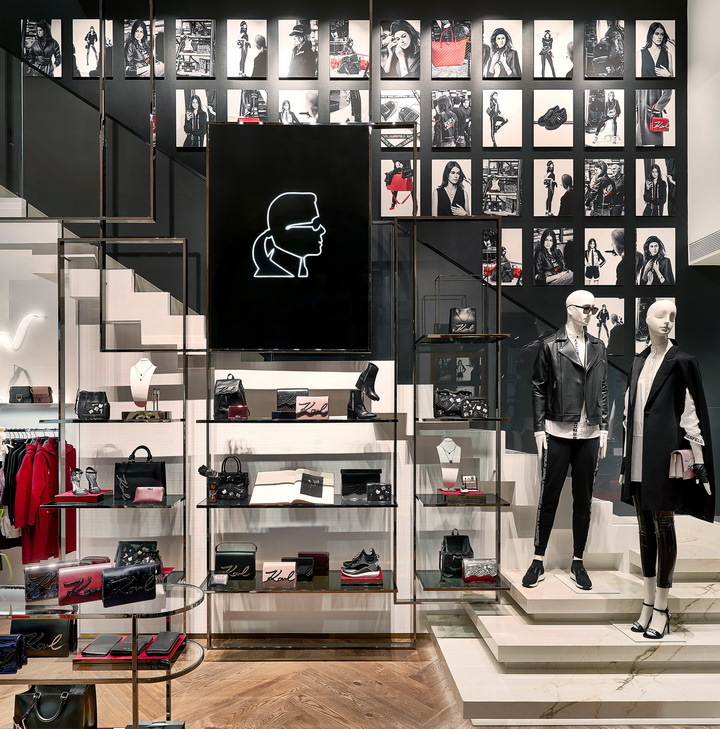 Beyond this high-profile display, 100 additional digital screens around the store and 160 iPads are seamlessly integrated into the design. 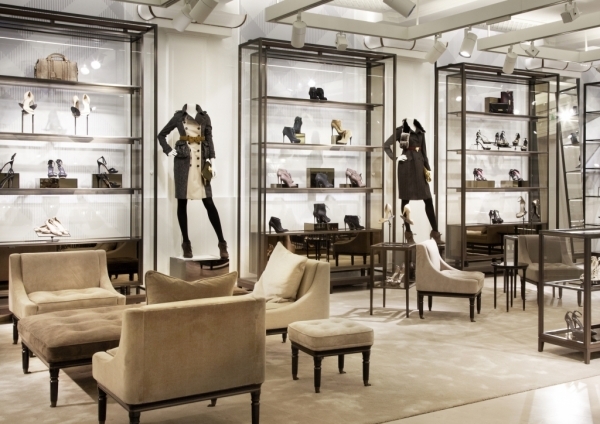 Shoppers may notice them only if they happen to pause and look at a unit or a table, but they are everywhere, ready to link browsers to Burberry products that may not be out on the sales floor. Serious Burberry shoppers with an urge to satisfy their cravings, however, will find plenty on the other floors, accessible via a room set off from the left-hand side of the atrium. 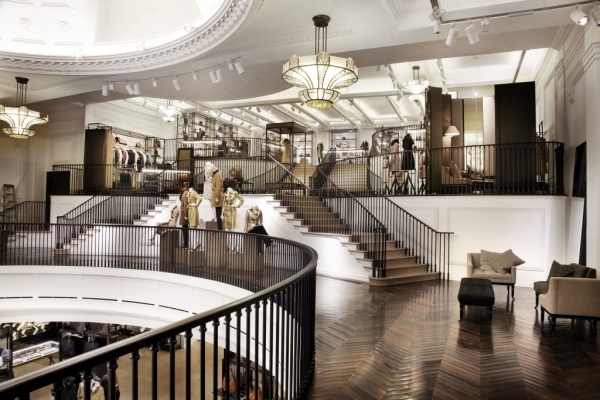 Marble floors and staircases are coupled with double-fumed German oak perimeter wardrobes and fitting rooms, where another of the store’s digital aspects becomes apparent. Every item in the store has a RFID tag and when a garment is taken into a fitting room, one of the mirrors becomes a screen as the tag triggers pre-recorded information about the style. 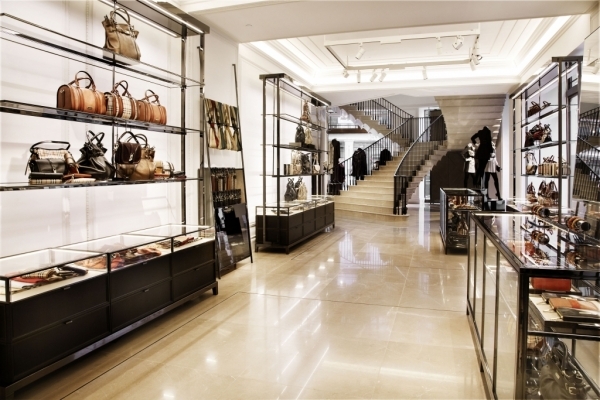 The atrium, remarkable for the amount of space that has been left empty, sparingly displays products for both men and women on bronze and glass fixtures in the mid-shop and around the perimeter. 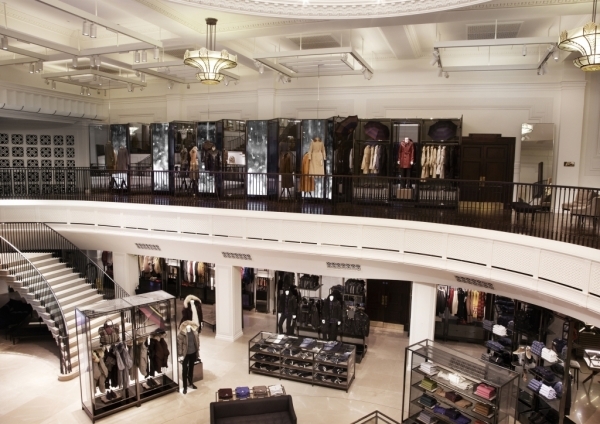 Above, a balustraded mezzanine level serves as a display gallery that emphasizes the brand’s heritage and is currently being used as a trench-coat museum where one-off pieces are displayed on mannequin trios. There’s much to admire about the infusion of design and technology into this space and it lives up to the brand’s luxury image in almost every respect. 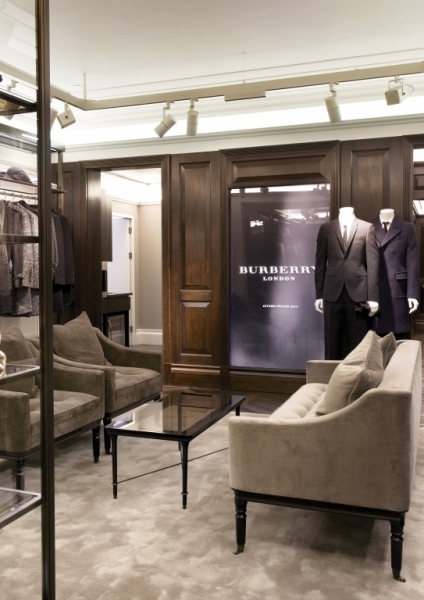 Burberry says that many of the digital features in this flagship will be taken to other outlets as it continues its global expansion, particularly in the Far East.